Home / News / Hungary is on the verge of a water crisis: What can companies do? There is no question that there will be a water crisis in the twenty-first century because its effects are already occurring in Hungary. 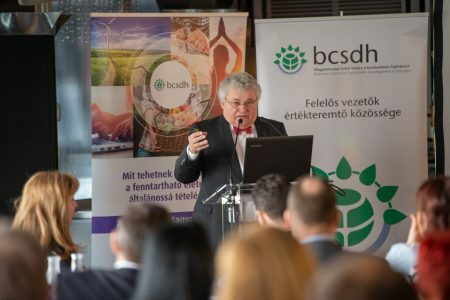 Also, there is no question whether it will affect companies: the answer is clear: it will – Prof. Dr. András Szöllősi-Nagy pointed out at the BCSDH Business Breakfast and Action 2020 Professional Forum on March 27, 2019, which focused on the subject of water. 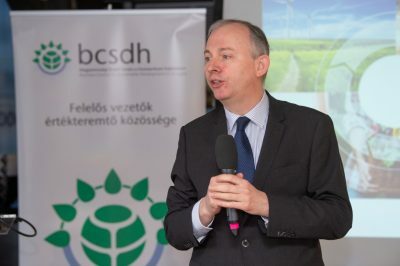 Prof. Dr. András Szöllősi-Nagy, Deputy Chairman of the Intergovernmental Council of the UNESCO International Hydrological Program and Doctor of the Hungarian Academy of Sciences delivered a successful and thought-provoking lecture at the Business Breakfast of the Hungarian Business Council for Sustainable Development (BCSDH). 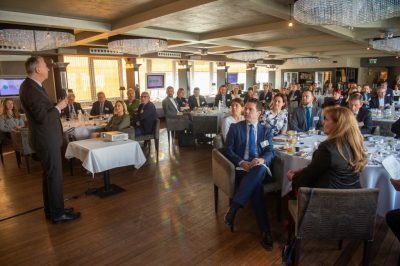 The Business Breakfast of the organization – with its 87 member companies which produce 30% of Hungarian GDP – was followed by an Action 2020 workshop with the participation of CEOs and experts that was aimed at helping the business sector to make real improvements in the area of water. 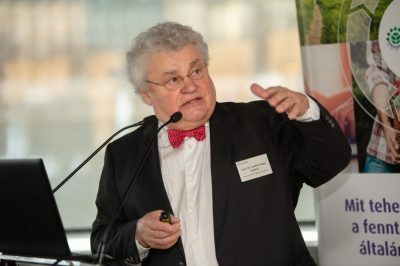 In his introductory thoughts, Dr. Gábor Bartus, Secretary General of the National Sustainable Development Council (NFFT), highlighted the following: ‘Despite previous efforts, Earth’s natural capital continues to decline at a very fast pace. Today’s poor sustainability performance means tomorrow’s weaker socio-economic well-being. Fortunately, for humanity, remedial technologies, patterns, institutions and values have been identified and are available. These can prevent the destruction of natural resources, or at least substantially slow down the process. ‘Most of the effects of climate change will become visible through changes in water, thus all businesses must prepare to use water more efficiently. Climate-change and water-related problems should not be approached from an engineering perspective only, as water use has important economic, sociological and political implications as well. In the next 10 years, the biggest risk factor will be ignoring water-related problems, extreme weather, climate change, and the social consequences of these phenomena. Only 0.007% of Earth’s water resources are available for direct human consumption. We are on the verge of a water crisis.’ – András Szöllősi-Nagy explained. ‘Although Hungary is for now in a favourable position from the perspective of water supply, it is crucial that we sustain this beneficial situation in the long term. The business sector has a role to play in achieving this. CEOs have the primary responsibility of recognizing the importance of adaptation and starting the process of adapting. 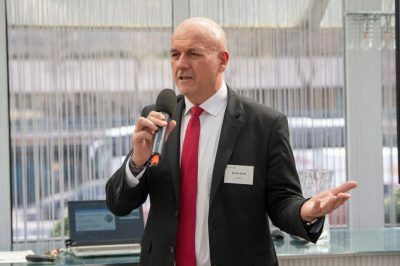 The issue of increasing water efficiency partly involves market competition as well, a fact which cannot be separated from the issue of security of supply. Additionally, ensuring a supply of suitable quality water will also prove to be increasingly challenging for companies. 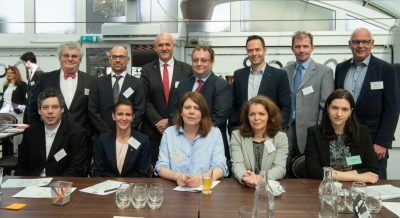 This year, through our Action 2020 program, we aim to support the efforts of companies in these areas.’ – pointed out Attila Chikán, president of BCSDH, in his introduction. 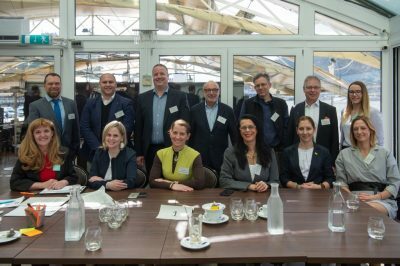 The business breakfast was followed by the Action 2020 Forum, the primary purpose of which is to launch and support effective teamwork and joined-up thinking in the business sector while creating a real impact. Fifty-nine companies have already joined the program. The main objective of the Action 2020 program is to support climate adaptation in the water sector so that water is available to everyone in the long term, considering available water resources. 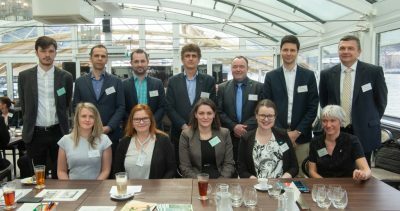 ‘In order for water to be available to users in the right quality and quantity, Action 2020 Hungary aims to encourage domestic businesses to set ambitious yet realistic goals and to identify and disseminate solutions that contribute to their realization. 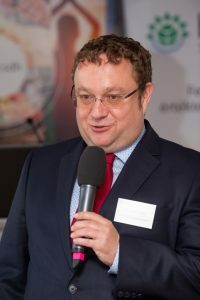 During the Forum’s work, we try to identify the most important challenges and opportunities in the former areas, as well as pre-existing business solutions that can bring about immediate-, short- or medium-term results’ – pointed out Károly Kovács, Managing Director of BDL Kft. and Head of the BCSDH Action 2020 Water Working Group. Szöllősi-Nagy’s presentetion is available here.